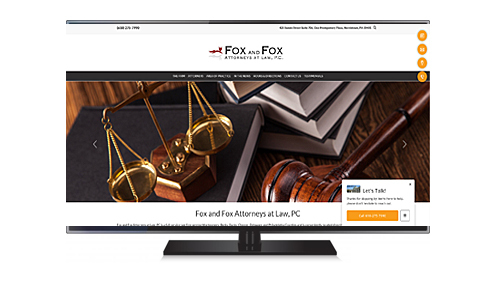 Fox and Fox Attorneys at Law, PC is a full-service law firm serving Montgomery, Berks, Bucks, Chester, Delaware and Philadelphia Counties and is conveniently located directly across from the Montgomery County Courthouse. Our areas of concentration include Divorce and Family Law, Civil and Criminal practice, Personal Injury, Workers' Compensation, Corporate& Business Law, Banking Law, Real Estate Law, Commercial Litigation, Insurance Law, Probate and Estate Planning, Social Security Disability, Criminal Law and Bankruptcy. Find out why Fox and Fox Attorneys at Law, PC should be your only choice when you need an attorney.